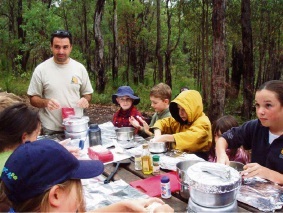 THE Bibbulmun Track Foundation is running two events for the kids these April school holidays, Camp Cooking for Kids and Dr Dolittle Goes Bush. Ashley Gibson from the Foundation said the hands-on events were a great way to get kids amongst nature and away from the X-Box and PlayStation. “Experienced guides will keep the kids occupied while parents or grandparents can sit back and enjoy just being in the outdoors,” she said. Costs apply. For more information go to bit.ly/2v3riyp.